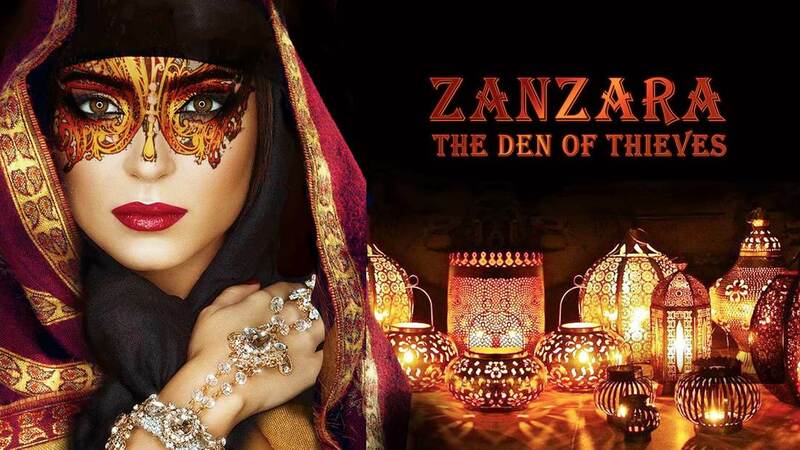 At Zanzara, everyone is playing Den of Thieves. The goal is simple: Get Gold. When the clock strikes 11pm all shall see who is the superior Thief. The winner will be the person with the biggest pile of GOLD! You can invite or challenge any other guest to play you for your gold piece. Any guest can refuse to play and keep their gold piece. Once a game is agreed upon, no other guests may interfere with their game: i.e. you are forbidden to steal gold from other guests while their contest is in progress. You can collect, earn, win or gather gold any way you wish - showing, of course, the utmost respect for your fellow Thieves at all times. If you are caught cheating or stealing you will be MARKED with a slash across your cheek. This will brand you as dishonourable. Other guests will no longer play games of chance with you as you are now branded as a Fiend. Our advice: In Zanzara, don't get caught. If you touch or take ANYTHING other than game gold coins from your fellow guests, you will be escorted to the door, photographed, then banished from this party and all other gatherings by Golden Owl Events. You can join games, run your own, give away or barter your coins with fellow guests. 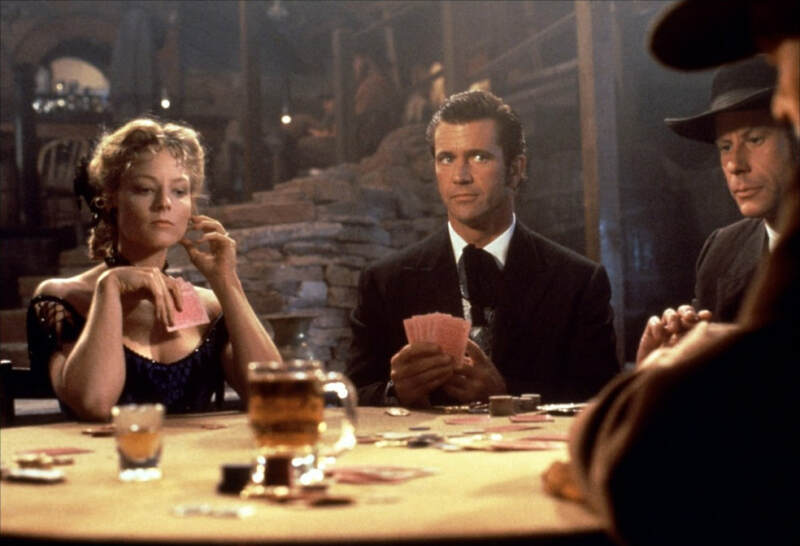 Games of chance, double or nothing, and simple acts are good ways to play. A simple act might be something like giving a massage in exchange for a piece of gold, or going to get drinks from the bar, or doing a dance! 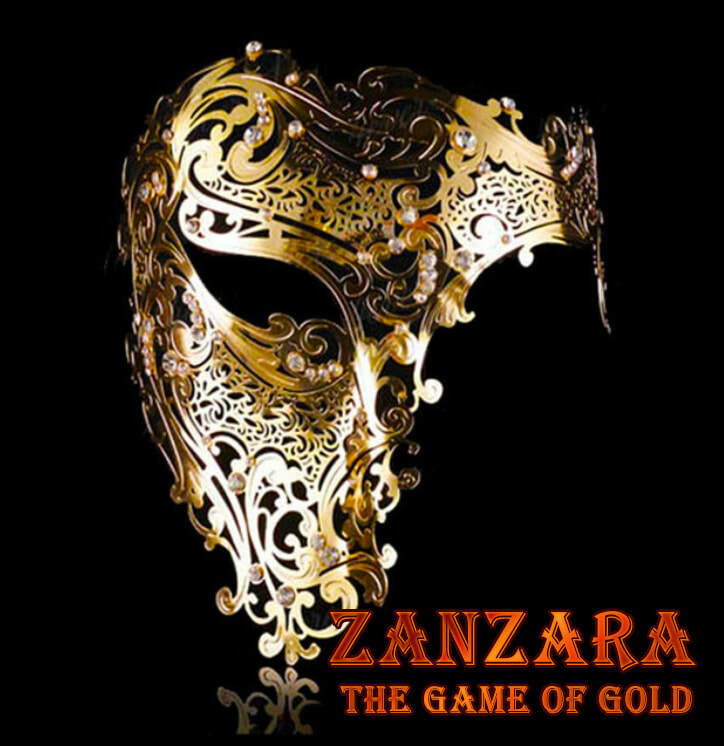 You are encouraged to bring decks of cards, board games, or anything you like to Zanzara to play for gold with other guests. BRING A MONEY POUCH too. You may need it! The Winner of the Den of Thieves game will be awarded with an exquisite trophy - an astonishingly beautiful metal filigree Masquerade Mask!